Below you can view all the homes for sale in the Medlock Bridge subdivision located in Johns Creek Georgia. Listings in Medlock Bridge are updated daily from data we receive from the Atlanta multiple listing service. To learn more about any of these homes or to receive custom notifications when a new property is listed for sale in Medlock Bridge, give us a call at 404-998-4017. Top Amenities And Top Schools - Don'T Miss It! MLS#6538720. Keller Williams Realty Chattahoochee North, Llc. Buyer Needs To Be Able To Close In 30 Days. MLS#6539121. Drake Realty Of Ga, Inc.. Lot Is One Of The Highest Points In Fulton Co - Stunning Views From Deck! Large Wooded Backyard. MLS#6534767. Re/Max Prestige. In One Of The Top School Districts And An Active Swim/Tennis Community, This Is The Perfect Family Home! MLS#6528177. Keller Williams Realty Chattahoochee North, Llc. Your Buyers Will Love This Home! MLS#6527487. Re/Max Center. Hvac Is Only 3 & 4 Yrs-Wh Is Only 3 MLS#6527355. Keller Williams Realty Chattahoochee North, Llc. One Of The Best Communities For Kids In Johns Creek. MLS#6527186. Allen & Lee Associates, Llc.. Incredible Backyard Fenced W/Playset & Firepit -Shaded For Year-Round Use! MLS#6523527. Re/Max Center. Finished Terr Has Brand New Flooring W/Addt'L Bedroom/Office, Exer Room, Wet Bar & Entertaining Spaces - Loads Of Storage! MLS#6515979. Re/Max Center. 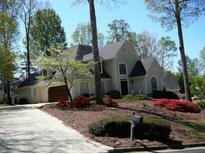 Active Swim Tennis Subdivision In The Heart Of Johns Creek! MLS#6516081. Re/Max Center. Don'T Miss Neighborhood Pools, Clubhouses, Playground, Tennis Courts, Top Rated Schools & Luxury Shopping Nearby! MLS#6503840. Harry Norman Realtors. Top Rated Schools. Home Warranty Provided. MLS#6503196. Berkshire Hathaway Homeservices Georgia Properties. Custom Shelving In Kitchen Level Garage For Storage. Great Value! MLS#6070942. Re/Max Center.